New product that works with any existing MistKing system. This controller works by constantly monitoring humidity on the probe. 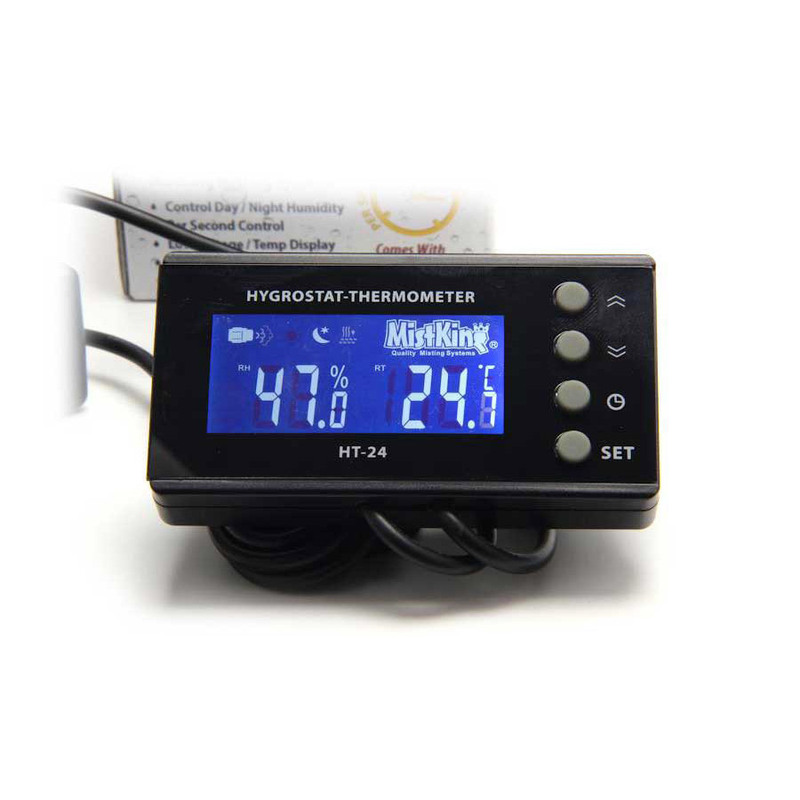 Set a day time and night time humidity level and HT-24 will activate the misting system as needed. Excellent choice when desired humidity needs to be achieved. It plugs directly into the 24V misting system power and not into an electrical outlet. As with any humidity probe based controller ensure that you do not spray directly onto it as it will give you unreliable performance.